Thank you for visiting Millstreet.ie. We welcome all comments, kudos, or criticism you would like to share with us on the site. But please leave your name and where you’re from. We’d love to know who is reading and where they are looking in from! With thanks, from all in Millstreet. Note: The old version of millstreet.ie (pre August 2009) had a guestbook too. All the comments were copied over, just click here to see them. I have been searching for many years for this information. I was almost giving up hope of ever researching my mums side. Many years ago someone signed my great grandfathers death certificate, basically stealing all of that sides family history. I’m seeing numerous discrepancies between the Millstreet Parish church records and the civil records. Mainly in the birth records. In many cases the date of birth in the civil record is a few days after the date in the church records. Has anyone else had a problem with this? Yes john, this would be a common problem. I would say that the church records where available are more accurate. I think that there are a couple of factors. First, many of the people were illiterate and could make simple mistakes when registering the birth. The other one I read somewhere was that there was a fine for not registering promptly, so the birth dates were changed to suit and avoid the fine. I have found that the problem gets worse if you compare ages given in official documents – the ones I have had seen this most are in military and census documents, which can make connecting the dots rather awkward at the best of times. Thanks Michael. That explains it. I also read that some people considered it “good sport” to give wrong information to the authorities. I don’t know if that is the case here but I found the discrepancies are common in some families and nonexistent in others. Perry..Many thanks for alerting us to your recent Reunion. Delighted to note that Cousin Patrick O’Leary (who is a regular Listener to our weekly Tuesday “Radio Treasures” online radio programmme on http://www.corkmusicstation.com )was present for your get together. He has done some magnificent Family History Research and shares it with such great sincerity. 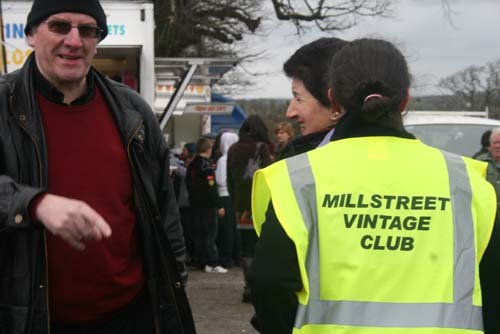 Great to read that you intend to browse our Millstreet website every now and then. Season’s Greetings to All. Hi Perry, I am doing some research for Michael Dennehy whose family originates from Millstreet. Dennehy with 2 n’s and there are possibly many Dennehys from there. just wonder if you are happy to look for a connection?? Pamela, to give an idea of numbers, there were 142+ Dennehys baptised in Millstreet Parish in the 1880s … and I would look into any derivation of the spelling, because much of the population was illiterate at the time. I can’t tell you Perry Denehy replied to your message. Perry and I are cousins. His Great Grandmother and my Great Grandfather were siblings. I have been to Millstreet three times and have completed quite a bit of research on my family which includes some Denehy’s. 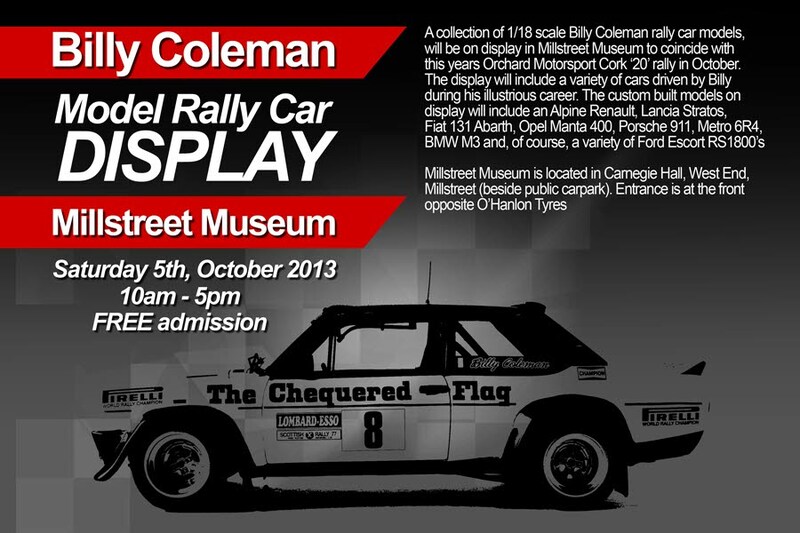 I will be returning to Millstreet this year. I Am David Dennehy and my grandfather Edward was born in Mill Street to Edward and Honora Dennehy. Honora’s maiden name was O’Leary. I found this out as I recently obtained the birth certificates of my grandfather and grandmother so I can apply for Irish citizenship. I am also a descendant of John and Honora Denehy of Millstreet. I would love to be included in your next mini-reunion. The reunion I attended was in Wilmington, Ohio around 2000 when my parents were still living. I have collected as much information online as I can. I am having a hard time understanding some of the records not knowing how one name connects to the next. Patrick O’Leary from KY has been a wealth of information and so freely giving of his time and research. My next step is to hire a genealogist that our cousin Patrick recommended to help fill in the blanks. I have booked a trip for June, yeah, with the hopes of walking in my grandfather’s footsteps. Greetings Perry! Just ran across your post. My great-great grandfather was Denis Denehy, his daughter was Abigal (aka: Abina) who married Cornelius Buckley in 1872. All were from Millstreet. Any chance we are related?? I have only minimal research on my geneology. Was just wondering. Thanks! Dear Perry, I am looking for any of the Denehy family in the area of Millstreet/Boherboy/Kiskeam who might know of the Cronin of Dromscarra More, My Great Grandfather was Micheal born 9 May 1864, His father was Jeremiah Cronin who was married to a Catherine Denehy. Jeremiah’s name may have also been Dermit, Diarmound, or Darby. My family definitely owned land at Dromscarra More, Catherine was born appx. 1834 and might have lived in Glinalocha, not far from Kiskeam or Boherboy! Any help would be appreciated, reply to <email>! Gods blessing upon you and yours! Hi from Sheri Denehey in Australia. We are also from Millstreet and I think name got spelt in many ways due to the accent. Hi Sheri, way back then, most people were illiterate, so when they were giving their name on entrance to a country, their name was written down from the spoken word. You can only imagine how how Australians interrupted our local accent and dialect. And that was their name in official documentation from there on in. Will there be a Willie Neenan Memorial road race in 2017? I couldn’t make it to the race this year, maybe 2017. My great grandparents John Neenan and Catherine (Curran) Neenan emigrated from Kanturk. I’ve been to Kanturk and found your part of Ireland to be very nice and a great place to run! Hi from Connecticut, USA. Like many commenters, I am doing family research. My great grandparents were both born in Millstreet. My great-grandfather, Michael Dowe (sometimes Doe or Dow), son of Richard and Ellen (Dineen) was born near Mount Leader in 1858 and my great-grandmother Catherine O’Riordan was born in Gortavehy, daughter of Joseph and Mary (Connell), also in 1858. Despite the available parish records, I can’t seem to get much further. Both of my ancestors emigrated to Lawrence, Massachusetts, around 1880. Any help will be much appreciated. Hi, my name is Noreen O’Mahony. My great-grandmother was Margaret Dineen, sister of the Ellen Dineen mentioned in Daniel Dowe’s message of 27 November. So Daniel and I are distant relations. I have done some research on the Dowe and Dineen families and would be happy to share this with Daniel. Perhaps you would be good enough to give me his email address Thanking you. Thanks so much for your reply. I would love to hear from you and learn more about the Dowe and Dineen family. I sent you an email–not sure if you got it. Typed and in alphabetical order ! Happy Christmas all the Buckleys, Sean Radley and everyone in Dooneen & Millstreet! Just a short note to wish all the O’Shea (re Elizabeth Ann O’Shea / Laurence O’Reilly San Francisco) and their neighbours the Barrett’s (re Anthony Barrett “The Lavander Man”) A Very Happy Christmas . I would love to hear from them in the New Year and try and complete the story. Just curious did you have a Jerr Cronin who live in Brooklyn NY. and owned a funeral home on Atlantic Avenue ? I did have a Great-Uncle Jeremiah Cronin and also a Cousin Jerry Cronin, but neither were in the funeral home business. Hi wondering if we are related see my comment for 24th April on the guestbook (here). Would appreciate it if you could let me know. Hello, I am John Cronin from America and I am trying to find relatives of mine in the Boherboy/Kiskeam area, My Great Grnadfather was Michael Cronin emmigrated to America in 1883. His father was Jeremiah, and his Mother name was Catherine Dennehy! Hopeing to make a connection to my Irish family! Thank You for your time and kind attention! Every Blessing, Kathleen, throughout a wonderfully Bright 2017. I have been doing some research in the Dromtarriff RC parish marriage registers, and I’ve seen a few references in about 1833-1834 to a placename that seems to be “Crippleford” or something very much like it. I can’t find a townland by that name anywhere. Can anyone help me to identify this place? Possibly it is near Rathcoole, because one of the marriage records was for a husband who probably lived in Rathcoole. Thanks in advance. This is a very helpful site. I don’t recognise it. Being 1833, it’s possible that the townland changed its name sometime afterwards, or maybe it was written in Irish. 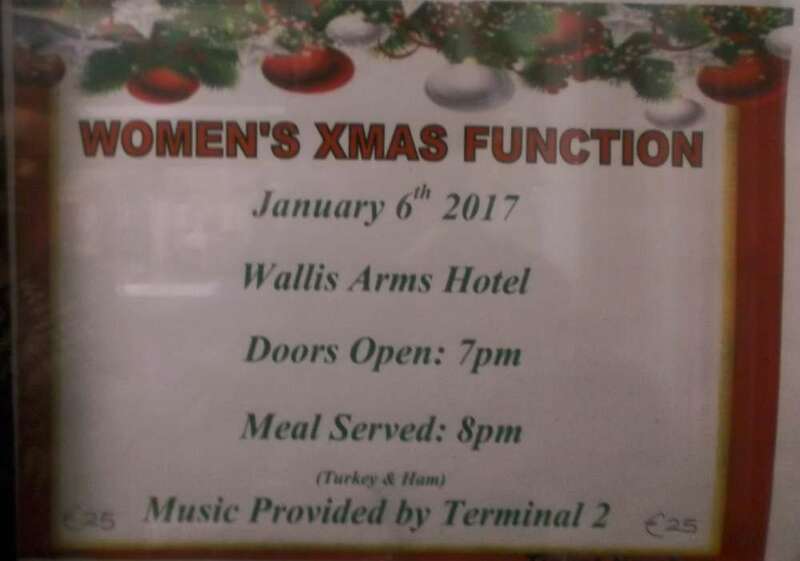 It’s unlikely to be a nickname for a place as it’s in the parish register. Hello, my great-grandfather (James McAuliffe Possible birth 1859 BOHERBUE – son of John) and great-grandmother (Margaret Mannix Possible birth 1859 Cook/Kanturk – daughter of Denis) in the East End of London around 1880 and married in Hackney 1881. I have no known living relatives that can give me any history of our Irish line but would very much like to know more. I have been looking online for a few years without much luck. It would be great if anyone could help fill in some of the many blanks. I don’t know the area or if any of this family are still there, but I hope maybe somebody from the area might get in touch with you. Contact me <email> if you want further details. I will take up your offer email you as I would love to know where you found the information. Thanks again, hopefully as you say, someone in the area might see the plea for help too. Thank you Mary and Mary, I am so pleased I posted the message, after so long of with no progress from my efforts, this has been like a late Christmas present. I just came across this headstone inscription on a website for St. Patrick’s Cemetery in Brockton, Mass. It’s not anyone I’m related to but thought it might interest someone. I am making my first trip back to Ireland in many years, and through ancestry.com managed to trace my mother’s family back to Millsteet. John Stephan Browne left in the 1890s with wife Catherine OLeary for Wales and later Boston. John Browne’s parents were John browne and Ann Barry, born in Millstreet around 1830s. Catherine’s parents were Daniel O’Leary and Catherine Moynihan, same era. Catherine had a brother Dennis Moynihan who married Julia riordan. I plan on going pub to pub to find out more when I come through March 2. Any info you can provide in advance would be greatly appreciated! We might have a family connection. My ancestry.com user name is poleary134. Check out my tree. I am currently traveling so I don’t have access to my laptop. My father is Daniel B. Kane, his father, Cornelius D. Keane was b-April 15, 1862 from Co. Cork Ireland. Cornelius came to America at 18 years old. He married Ellen Mary Nugent at Seneca, Wis. Dennis Keane was my father’s Daniel B. Kane lived by other in the Keane family that came to America. Dennis Keane married Mary Kingston, b-Aug 15, 1842 and lived in Seneca, Wis. Dennis Keane father was Cornelius Keanne from Co. cork, and married Mary O’Leary. Do any of you reading this able to know this family of Keanes for Co. Cork? Sure do hope so. And if you do or have any photos I wish you could have someone send them and I will return them back to you unless you don’t need them anymore. I have no photos of Keanes from Ireland. Did anyone do a Keane Family Search from the Family? I would like to but I don’t have any deaths dates and years so without any newspapers from family members I can’t get very far. Did someone from Ireland do a family Tree? that would be great. If you find someone please pass my name to them I would be pleased to have a copy of the Keanes, death, marriages and special events. Hello Millstreet, this is admittedly a bit of a long shot, but my father Maurice (Mossy) O’Connor who grew up in nearby Cullen is turning 80 on March 19th. He has been in the Chicago area since 1957 and recently celebrated his 50th wedding anniversary with his wife Mary this past June. He has 3 grown children and 5 grandchildren. In any event, if anybody thinks they might know anybody that new my father back in his younger school days who might wish to convey him happy birthday wishes, please let me know and I’ll be sure to pass it on. Thanks. Happy Birthday Mossie, hope you have a great day. Joe O’Connell, Lyrevocane, Cullen, neighbour and friend. This afternoon I discovered your message on the Millstreet news. So pleased to read about your father’s eightieth birthday, wishing him all the best. We all grew up together in Knocknagurrane all those years ago. Your father was the first of us to emigrate and the rest of us also emigrated around the world. Remembering happy days. Denis (Denny) O’Sullivan. Barnes, London, England. Dear Millstreet Friends, I spent today with a newly discovered branch of my family, the Donovans, from Union Hall in West Cork, and was later in touch with cousins from my Cashman branch of the family, from Pluckanes North, Donoughmore, in Cork. Both have pinpointed homes and churches and baptisms and weddings, which is very exciting. But we’re having no luck with our Reardons!! So I thought I’d try again to find my Reardons and Kellehers from Millstreet. Even a single clue would be so exciting! My great-great-grandfather was William Reardon, who married Catherine Kelliher (b. 1806). He died about 1850, and she may have traveled with her two younger sons to the United States around 1860, eventually marrying Patrick Sullivan, and living in West Quincy, Massachusetts, near her son Bartholomew. William and Catherine’s sons Bartholomew, John, Cornelius and Patrick came to the US at different times. They seemed to have been stone workers. Bartholomew was born in Millstreet in 1832. John was born in 1842, Cornelius in 1845 and Patrick in 1846. One fascinating search for Bartholomew was published in the Boston Pilot in about 1860. There John was searching for his brother “Batt”, who was “last seen in a lifeboat in the Gulf of Mexico.” Bartholomew lived an adventurous life, and legend has it that he had indeed survived a shipwreck. Bartholomew William Reardon was my great-grandfather. He married Catherine Donovan of Concord New Hampshire in 1869, and moved to Quincy in 1870. John Reardon lived in the Boston area and worked for the Boston Public Library. Cornelius Reardon lived in Richmond Virginia. Patrick Reardon moved to San Francisco, and, as far as we know, died in the earthquake of 1906. I haven’t yet visited Millstreet, but hope to come within the next year, and would warmly welcome any information that might be available. Thanks so much!!! PS Three of the four brothers indicated that they were stone workers. Are there quarries around Millstreet? Have you done any DNA tests? I’d be curious to see if we matched up. My Dad was a Kelleher born in Millstreet. Hello Bridget, Yes, I’ve done a DNA with ancestry.com. I’m not sure how to transfer that information to any other location though. Can you get access to ancestry.com? I just checked and my line Daniel Riordan from millstreet married Julia Kelleher (both born around 1810). One of their sons was Timothy Riordan, who married Julia Sullivan, then had a son named Timothy Riordan – and this is the Timothy who came to Boston in 1901, my great grandfather. I’m assuming there’s a relation somehow? Hello Anne, Wouldn’t it be wonderful if Julia were Catherine’s younger sister! Did Julia Kelleher have any sisters? Or did Daniel have a brother William? Bartholomew Reardon, my great-grandfather, born in 1832, started off in West Quincy in granite quarry work and farming in 1870. Bartholomew spelled his name seven different ways that I’ve found so far. I live in Hingham, Massachusetts, in case you are nearby and willing to share your Riordan tree. There must be a connection somewhere – seems too small of a village for there not to be! I don’t have the siblings, but I do remember Bartolomew coming up in my searches when I was researching. I met my husband when we both lived in Boston and just recently we moved to CT. Timothy Riordan and his family opened a bar in Boston when they came over which was in scully square. Then they moved to providence and opened a liquor store in 1933 which stayed open until the 1990s. We should stay in touch, and when I can, I’ll look into Julia and Daniels siblings (I have three little kids so I haven’t been able to research much these past few years). Thanks for writing. For Peter Reardon — Thanks so much for writing, Peter. There has always been a family legend that Bartholomew was once in Australia, but we’ve never been able to prove it. The first record we actually have is from his wife’s obituary which mentioned that he had been conscripted as a Confederate soldier when he was in Richmond Virginia, and that he deserted to go to the North “bearing valuable information.” This would have been in the early 1860s. It sounds as though your ancestors’ dates are between my ancestors’ generations, but you are right that the names are the same. It seems as though there’s a gap between Bartholomew’s birth, and his brothers, but I’ve only ever heard of Bartholomew, Cornelius, Patrick and John. I would love to hear of any discoveries you may make! You can transfer Ancestry and 23&Me DNA results to Family Tree DNA (FTDNA) and unlock your matches for $19. You can transfer your autosomal DNA results to http://www.Gedmatch.com for free. Gedmatch is a free trustworthy site to which people who tested with Ancestry, 23&Me and Family Tree DNA can upload their raw data and compare with each other. Also, there are tools to help with the analysis which are not available on the other sites. We have O’Sheas, Murphys, O’Riordans, Kellehers etc. with connections to Millstreet-Macroom-Banteer in the project. As a follow up to Margaret’s post – you can now download your ancestry.com DNA file to FTDNA for FREE. I just did it. As she mentioned, you should also move your DNA file to GEDMATCH as well. Bridget is correct. It is free to upload your DNA from Ancestry and 23&Me to Family Tree DNA (FTDNA). The $19 I mentioned is to unlock extra utilities such as Ancient Origins. Gedmatch is free and has some great tools! Thanks, Bridget for making that point. Hello Millstreet, I am writing to you from San Antonio, TX. I am in search of anyone in Millstreet with the surname Godsil. My 3 time great Grandmother was Ellen “Nellie” Godsil. She was born about 1810 in Millstreet to William and Mary Godsil. He was a weaver. She married Jere McCarthy. He died young and she remarried a McSweeney or Sweeney. She emigrated to America as a widow in 1880. She moved in with her daughter’s family Mary McCarthy Sullivan in Jersey City, NJ. She died in 1900. I would think that Nellie Godsil had siblings or cousins with the surname Godsil living in Millstreet. Any connections would be appreciated. Hi I have hit a brick wall, i have a Denis Leary who married an Honora/Nory McCarthy i cant find any information on their marriage or any other information on the other siblings other then Arthur(my ggGrandfather). i have their children’s baptism information from Co Cork, Timothy,Arthur(convict to Tasmania Australia),Julia,Michael,Denis. I am trying to track down my family as I am sure there are some in the Millstreet area. My grandfather Peter Cronin born 1870 lived in Newcastle (UK)and settled there until he died. I believe my great grandfather Patrick Cronin born 1835 and his wife Mary Morrisey had 8 children as follows:- Jerry born 1860, Ellen 1863, Denis 1865, John 1868, Patrick 1874. Daniel 1876, and Catherine 1878 and last but not least my grandfather Peter born 1870. My great great grandparents were Jeremiah Cronin and Ellen Buckley. The family appeared to live in kilcullen building number 8 as some are listed in the 1901 1nd 1911 census at this address. Most of the family hail from Donoughmore as births are mostly registered there, they appear to be farm labourers very poor living in a 1 roomed house with 1 window and no substantial roof. I have a suspicion that Patrick came to Newcastle too and died there but it is an educated guess more than fact. I also think my great uncle John went to USA and came home a widower with a son John. Not sure how to find out anything more than I have here so hoping someone out there can help? Hi Ann, I have been working on my family tree in the Millstreet area and Ancestry has a book of Births, Ireland Catholic Church Records. Do you have Ancestry? I have seen lots of Cronins! I have been looking page by page and notice similar family names through out. Not sure if the link with work but its worth a try. My family names are Kelleher and Fitzpatrick of Millstreet. I’m hoping this is ok to post but I am confused on how to communicate through email in a private message. I replied back to a few post but just found family in Millstreet and would like to communicate privately to them. How would I contact them through this site ? Thank you for your help. I’m an American doing research on my family and wish to trace my Rardin (O’Riordan) lineage as far back as i possibly can and also hopefully pin down the meaning of the surname. i’ve been told it comes from a word meaning royal bard. I’ve traced my lineage so far to some brothers who immigrated here in colonial times. Dennis Joseph O’Riordan (1725-1789) is the farthest back I’ve been able to trace before it gets confusing. he seems to have 2 different fathers or the same person is his father and brother and 2 different mothers depending upon who’s family tree i view at Ancestry.com. i think it’s Timothy Michael O’riordan and Jane Scott or some woman with the surname Fitzpatrick. I would appriciate any help i could get in both working out who Dennis’ parents are and the reasons for the O’riordan brothers moving to the colonies because that’s also a bit confusing. I just stumbled upon this thread. I am working on the Rardin family too. I am looking for info on Timothy Michael O’Riordan and Jane Scott. Jane went to Australia and I am wondering why. She left before the time they were routinely sending people to the penal colony there. My husband is descended from John Rardin, son of Timothy, born 1720, who came to the US before we were the United States. I am also corresponding with a fellow who is descended from John’s brother, Dennis. There are a few Rardin family histories on line but not much info on what happened before they came to the USA. Perhaps we should compare notes. Hello to all m’friends in Millstreet! We miss you all and promise to return. Billy Sheehan, Terry Anne is holding you to your promise of a lift. It may be a few years before we return but I have already made up my mind that whenever I return to Eire I was always return to Millstreet, birthplace of my grandfather. We love the town and its surrounds which have been shown to use with such courtesy by Seán Radley on our two visits. Take it as a promise (or a threat….your choice) but I shall return. Grá mór from Venice, Florida. My name is John P Cronin from Phoenix and my G-Grandfather Micheal’s Mothers name was Dennehy, My G-Grandfather born in Kiskeam, 1865, and from Boherbue/Millstreet area, his Mothers Name was Catherine Dennehy do you have any any connection to her? Sorry, no I do not. My grandfather was Edward and his parents were Edward and Honora (nee Leary) he immigrated to the States in April of 1906 and my grandmother (Anna M. Keane of Kilglogher, Co. Clare) arrived sometime after after him. It seems as though my Dennis O’Riordan and your Dennis O’Riordan are 2 different people who lived almost 200 yrs apart. while I’m sure if I do enough research i’ll find i’m related to your Dennis, he’s not a direct ancestor. i just caught that today. I feel somewhat foolish about this but then again i am a novice at genealogical research. my quest continues. but if i ever make it to Ireland I’ll be sure and stop in millstreet just because it looks so beautiful from the pictures i’ve seen of it. I had come across a message conversation on Ancestry.com a while ago, maybe two years or so ago between the Reen’s in Millstreet and Lou Desmond of Montague, Ma. USA, asking about the Reen Familys of Turners Falls and Western Ma. ! Lou Desmond is our cousin connected to the Reen family as is Margery Stack, who I think was a Desmond also! My dad was Jeremiah Daniel Reen born in Turners Falls, Ma. USA, Jan. 21, 1892 . I am his son Robert, the youngest of his four children. I was hopping we could connect with the Reen’s located in Millstreet and near by area? My Dad talked about Millstreet some when I was a boy, but it was my Mom, Blanch Reen, who while visiting Ireland a number of years ago, made contact with the Reen Family Pharmacy in Millstreet and who lovingly embraced my Mom creating the link between our families! My inquire is with hope to reconnect with the Reen’s of Millstreet and area and create a lasting connection between our families ! 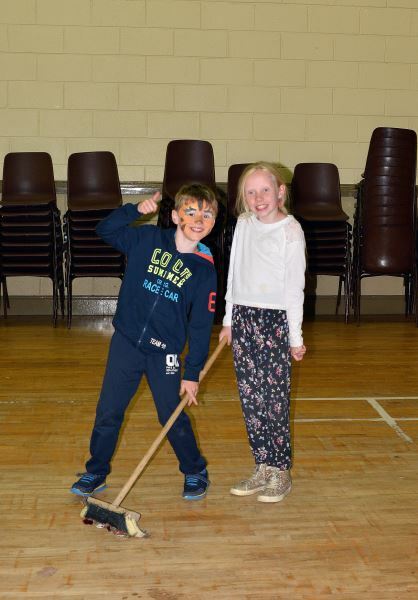 It is also our family mission to visit your lovely town of Millstreet and areas near by! I look forward to any and all responses from our family here in Millstreet!! My name is Frank Reen and I live in Millstreet and work in the pharmacy. I remember your Mam Blanch visiting with my Mam some time ago. My Mam has since passed away but we are still here carrying on the Reen name. Should you or any of your family come this way make sure to contact us. Hi, my great-grandmother, Nora Riordan, (Reardon) came over to the U.S. in 1895. She was from Millstreet and her father’s name was Eugene. Her mother was Catherine (Sullivan) from Aubane. She married Alvin Blanchard in 1900. I visited Millstreet 4 years ago and was given a wonderful tour by Sean Radley. He was so kind to even help us find the Riordan homestead. I don’t believe there are any Reardons left in Millstreet. I have not been able to find out what became of her siblings. If anyone has anymore info, please let me know. Thank you. Patty A.
Hi Patty, I see Alvin died and she married Charles Harris. Did you contact Evan Riordan who answered your last post here. He thinks his great grandfather Cornelius was her brother. Hi Mary, No I didn’t see his post. Do you know the approximate date? I haven’t been on this website too much lately. I definitely need to get back to it. I visited Millstreet 4 years ago and absolutely loved it! I’ll scroll down and look for Evan’s response. I just scrolled back and found Evan’s e mail. Thank you so much for alerting me to it. I see you have helped a lot of people with their searches. 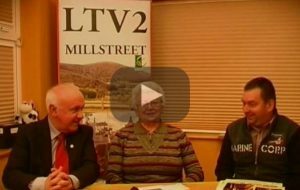 Are you living in Millstreet? We went there 4 years ago and had a wonderful time. Sean Radley took us around and even found the Riordan homestead! It was so much more than I Could’ve ever hoped for!! What a beautiful town. Yes, I did know that Nora married Charles Harris and many of the Blanchard and Harris family still reside in our little town of Scituate an hour south of Boston. It is commonly referred to as the “Irish Riviera.” I think I need to link my ancestry DNA info to the other website (GED match?) perhaps I can find more info. Thank you for Your help! He had siblings John, William, Ellen, Timothy, Mary, Catherine, Daniel, Margaret, Bridget, Patrick, Bill. There are a few of his family. My family still living there. We have a lot of trouble with phones so I’ll get on to you when storm is over. Yes, it would be great if we can connect our Riordans. Nora (my great grandmother) was also known as Reardon. From the 1901 census I have discovered my gt-grandfather: SYLVESTER O’SULLIVAN who owned a hotel at 43 Main Street, Millstreet, he was born in 1843. Wife ELIZABETH, four daughters , one of whom was my maternal grandmother: Kathleen sometimes known as Catherine. She married an RIC officer in 1907 who was stationed in Macroom. The other sisters were: Ellen, Maria, Lillie (widowed with daughter aged 5 in 1901) Any relatives out there?! Very many thanks to Michael. Such prompt response! Would be wonderful if any connections could be made. Marvellous work keep it up! This morning you replied to me with my great grandfathers birth info and his mothers maiden name: Julia (Murphy) Denehy mother of James Denehy. I found Dennis Denehy and Julia Murphy’s marriage information today as well. My family send our most grateful thanks for this information. I just reached my 96 year old father and told him the information. He said YES that was her maiden name Murphy! He just couldn’t remember. You made a senior gent a happy man! Just wanted to say I really enjoy the Millstreet website. My father’s family has distant ties to the Dromtariffe area, and it makes me feel good to see how nice the people and the Millstreet area are. versed in who my relatives are. First visit to Knocknagree – June 1949. My parents, brother, and I enjoyed the entire summer (remember it so well even today) between Knocknagree and Ballyduff, Co. Kerry. Rained two days! Last visit May 2017. Stayed ten days – Kilkenny, Millstreet, Killarney, Ballybunion – ten days accompanied by my daughter. Have made thirteen trips in all. Love every minute when I’m in Ireland – Cork/Kerry the most. My children have made trips on their own over the years. Your website is terrific. Keep up the good work! Hello from Mission Viejo, CA, USA. I will be heading to Millstreet in August 2018 to finally see my mother’s grandmother and grandfather’s home area. My passed away in February 2018 so this is my way of honoring her. My great grandmother was Catharine Riordan (sometimes written as O’Riordan) and my great grandfather was Michael Dowe. Michael was the son of Richard Dowe and Ellen Dineen. I have found that the Dowes were tenants on the old Mountleader estate. I have seen a few comments here of a Sean Radley who had helped others when visiting the area. Might it be possible to connect via email prior to the trip? Please let me know. Jo Ann – I noted your interesting message. If you wish to make contact before your visit to Ireland I can be contacted on millstreetmuseum @eircom.net. Near the Mount Leader original mansion there is now a development known as Mount Leader Estate. If we can help your tracing of roots when in Millstreet glad to attempt to do so. Kindest greetings from Mount Leader Estate, Millstreet, Co. Cork, Ireland. Thanks for the response. I will send a separate email to the requested address. Hi Sean, I’ve just read Jo Ann Corey’s message & your reply. My great grandmother was Mgt Dineen – a sister of the Ellen Dineen mentioned in Jo Ann’s message. Also the Catherine Riordan who married Ml R Dowe was, I think, from Gortavehy, Millstreet. You might wish to pass this info on to Jo Ann. Thanks a million, Noreen, for such relevant and helpful information which I shall share with Jo Ann Corey. I had the great privilege of being in the same Class in Primary School as Noreen but of course Noreen has remained so young with the spirit of Tír na nÓg! I am safely back in the USA (California) after two amazing weeks in Ireland. I must tell you both that the highlight of the trip was the full day I spent in Millstreet undercovering more information about the Dowes/Dineens/O’Mahonys. Noreen, Sean was so helpful that he introduced me to your brother and his wife, Aine Marie. It was the most amazing connection and I know it was definitely in direct part because of the information you provided here. I was able to successfully see the area the Riordans were from in Gortavehy, as well as catch a glimpse of the Mountleader Estate where the Dowes resided. I had no idea that Sean would be stopping at your ancestral home or that family that I am related to would be there. To say that it was a highlight does not even come close to it. Your brother went into the house and came back with the red binder that had your Dineen family information in it and when I read out loud the connection of your Margaret Dineen and my Ellen Dineen, I started to cry. Tears of joy as this trip was 10 years in the making with at times, painstaking piecing of information. Additionally, this trip was a dedication to my mother, Marie Dowe Corey, who was the great grand daughter of Ellen Dineen Dowe and who passed away February 2018. I am aware that you reached out to my cousin, Daniel Dowe, in late 2017. I am in constant contact with Dan and I of course updated him on this latest meeting. We are both so appreciative of all the information you and your brother provided us and Sean. In fact your brother firmly believes that Sean has a picture in the museum that shows the Mountleader Estate and in it a home with smoke coming out of the chimney. It is that house that is believed to be Richard Dowe’s home. It would be extraordinary to determine if such a photo exists as it would be the only connection/photo of him our combined family has. We have a picture of Catherine Riordan, which I provided to Sean but nothing of Michael Dowe, Richard Dowe or even Ellen Dineen Dowe. Anything that you have would be greatly appreciated. I would love to continue our connection to both you and your brother. Please provide me with connection information so that we can continue with this conversation offline. Mary Ann – I shall email you to put you in contact with Jo Ann Corey who will be able to give you a fuller account of the Catherine Riordan to whom she refers in her research. Martha, thanks for the inquiry. Catherine’s father was Joseph Riordan and mother was Mary Connell. My records do not show that either Joseph or Mary immigated to USA and therefore we think they died in Millstreet area. 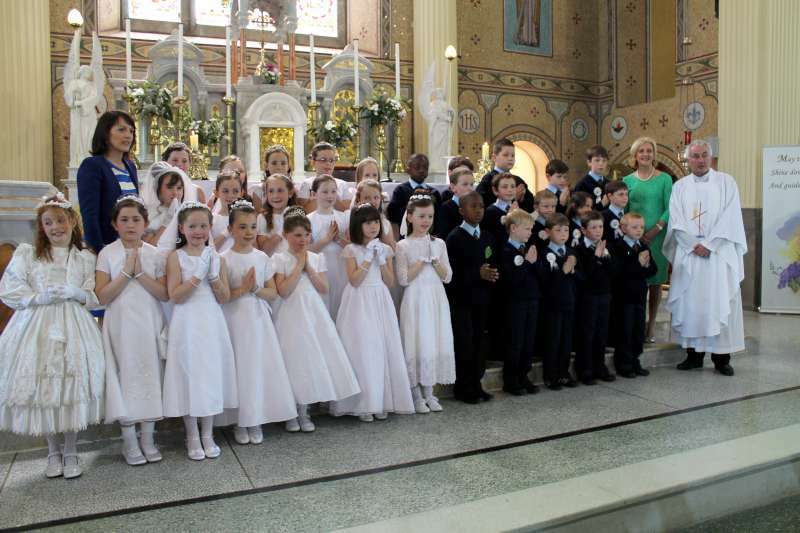 Catherine did immigated to Lawrence, MA, USA where she married Michael Dowe, also from Millstreet (Mountleader). Michael Dowe also immigated to Lawrence, MA which is where they raised their family. I was able to determine Catherine’s siblings: Timothy, Honora (Nora), John and Mary. All but John died and were buried in Lawrence, MA. ; John died in Boston, MA. Am hoping that something comes of this information as I would love to connect with any Dowe or Riordan homesteads. Denis married Kathleen who is my GF sister. They had 2 children: Eileen(b: 1931) and Cornelius(b: 1929). Eileen had 6 children here in the Boston area. Not sure if we are linked ?? Have more info. Not easy to present, format is not clean. Most in the top layers were born in Millstreet or nearby. JOHN(JACK) | DAN(1954) BILL J.
thanks for update Bill..,, have you any info on Denis healy…he was born in 1893…any idea where ??? And then I have the tree expanding to the present. Kathleen died about 1934 at age 40. Denis died about 1953 at age 60 or so. Cornelius Joseph Healy died 12/28/1976. Let me know if we have a match. Yesterday I made a contribution to the Millstreet Museum and Millstreet Website using the Bank of Ireland information you noted on the website. My siblings and I recently sold the home of our parents Mr and Mrs. John Patrick O’Leary. I want part of my proceeds from the sale of our family home to be a donation to the Millstreet Museum and Millstreet Website. Our Great Grandfather, John Patrick O’Leary, was born in May 1856 in Millstreet, he came to the United States in the early 1880’s. In 1894 our grandfather Patrick John O’Leary was born. Our dad, John Patrick O’Leary was born in 1925. Dad named his two sons Patrick William O’Leary (1956) and Michael John O’Leary (1957); he named his three daughters: Kathleen, Eileen, and Mary Ann. Patrick named his son Connor Patrick O’Leary and his daughter Colleen Ellen O’Leary. For more than one hundred years our O’Leary family has kept the tradition of passing down to each generation the name John or Patrick or John Patrick in honor of our Great Grandfather who left Ireland to start a family in the United States. Our O’Leary family tree has been blessed by growing strong because of the deep roots we have in Millstreet. •	Let us understand before we disagree. If we disagree let us not be disagreeable. Excited and looking forward to being back in the Millstreet area next week! My dad Francis Keefe is taking this year off from traveling with me. At ninety years he is still in excellent health here in Boston, but his knee has been bothering him some. I’ll be making the trip with my youngest daughter Molly Keefe who graduated from college, and can once again make time to visit friends in this region with me! Looking for relatives of Margaret Denahy born on July 1, 1885. Father was Denis Denahy. Immigrated to the United States as a child. Margaret was my grandmother. Hi Ed, There is no birth recorded for a Margaret in the Millstreet area. Where did you find this date? Have you any other details that would help us find her. What year did she emmigrate? If you look at the bottom of the article (i’ll update it tomorrow), you can see where i’m trying to find families living that are related. Learys of Curragh appear to be the closest related (from around 1900). I think my best option at this stage finding descendants are the Bradleys of Dromree (near Macroom) as my mum knows the family. I was provided with valuable information on this website…. thank you ! Hi all. Thought I would put forth my Millstreet people. I have my ggrandfather Patrick Buckley born 13 March 1866 at Coole, Drishane, the son of Jeremiah Buckley and Margaret Connors. Siblings included Margaret, Hanora, Daniel, Nell, John, Julia, and Mary. Some were born at Curragraigue and a Jeremiah was there in 1853 leasing from the Lombard Estate. As far as I know besides Patrick only Mary had children and only one survived to adulthood. Mary married Denis Keleher of Altamount in Feb 1876 and had children at Tanyard and Drominahilla. The group emigrated to Lawrence, Ma in 1884. Jeremiah’s death record names his father as Patrick. Margaret Connors Buckley’s death record names her parents as John Connors and Hannah Keleher. Also buried in the Buckley plot in Lawrence are two young girls Anastasia and Julia Riordan, the daughters of Cornelius Riordan and Ann Connors. I assume that Ann Connors was Margaret’s sister. Looking for any familial connections. I am researching my GG Grandmother Mary Ann Murphy who came to NZ with her sister Johanna in 1862 on the vessel Echunga from Gravesend . The sisters were born in Millstreet 1837 and 1839 ish ! Mary Ann married William Fleming in NZ 1864 ,they went to have 8 children together and she passed away aged 76 . We visited Ireland in August of 2018. We spent a memorable day in Millstreet. We are forever grateful to Sean Radley & Michael Cashman for the time and information they shared with us. We left that day feeling closer to our heritage than I had ever imagined could be achieved. It’s hard to believe 7 months have passed since this fantastic experience. I’m finally getting to post what we have gathered on our family history. My great grandfather, Daniel Cornelius Kelleher, was born in Aubane, March 16 1867. He was the son of Cornelius Kelleher and Ellen Sweeny. They were married in St. Patrick’s Church Millstreet 1862. Stepping back another generation Cornelius Kelleher was the son of Daniel Kelleher and Ellen Murphy (abt 1840). Ellen Sweeny was the daughter of Eugene Sweeny and Mary Condon (abt 1840). Returning to my Great Grandfather Daniel C Kelleher (dob 1867) his siblings as we know were, Ellen Kelleher 1863, Mary 1865, Catherine 1870, Eugene 1871, Denis 1874, John 1876, Cornelius 1878, Julia 1881. I am also related to the Kelleher’s from Aubane. My great gf Timothy Kelleher was born in Aubane in 1861. His parents were Denis Kelleher and Johanna Creedon. He married Mary Manning from Lackabane and lived in Lackabane. They had seven children including my grandfather Daniel Kelleher. Daniel married Johanna Ring from Coolinarne, had 5 children in Millstreet and moved to Cork City. John D Kelleher abt 1856. He married Mary Fitzpatrick from Ardageeha. Hannah Kelleher 1856 married Michael Fitzpatrick from Ardageeha (Mary’s brother). The Fitzpatrick children all chain migrated to San Francisco. Mary followed after the death of Michael. Mary Kelleher abt 1858 went to San Francisco and married William Galvin. Denis Kelleher 1859 apparently died young. Catherine Kelleher 1865, born in Bally Daly, went to San Francisco and married Walter Walsh. I don’t have any other information on Denis Kelleher and Johanna Creedon. I would love to find a connection between my Denis Kelleher and your Cornelius Kelleher. It’s possible they were brothers. I would appreciate any information you might have. Hi Karen, sorry this is a random question and I realise it is a wild stab in the dark! Do you have any record of a marriage to the Mannix family? I am not confident in my connection but I have a Denis Kelleher (1907) born to mother Ellen Mannix (no marriage details). My Mannix family are from the Kanturk area. As of yet I haven’t heard of a marriage to the Mannix family. I will review my emails from Michael to see if he found Eugene, Denis & John Kelleher in the early 1900’s census records he reviewed. I will let you know if there’s information about them. Who’s parents were Michael Murphy and Margaret Daly..I would think they all had siblings. These fine people would be my gg & ggg grandparents..My Fathers mother, Mary O’Sullivan, married John FitzPatrick from Ardnageeha. Any help would be appreciated. See my reply to Karen Kelliher O’Connell above. I have a couple of Fitzpatrick’s (Michael & Mary) from Ardageeha in my family tree. Their parents were Michael Fitzpatrick and Johanna Sullivan. Michael’s children migrated to San Francisco and I have lots of information on them. Mary’s children (married John D Kelleher) possibly stayed in Ireland. I can’t find any records of them past 1911. Michael who married Johanna Sullivan (1818-1871). Michaels son , Michael (1860-1926) married Hannah Kelleher (1855-1951)and their children did emigrate to San Francisco. I can’t find your response to Karen so I can’t comment on it. I wasn’t able to see a reply to me either. Comments are moderated, so it may take a little time for us to see and approve them. But, for some reason, some of the comments recently have ended up automatically in the spam comment folder. I found them now and they should be viewable now. Sorry but my MARY stayed in Ireland and married. In all probability some relationships there but don’t know where. Mine were from Cullen near Millstreet.. Thank you so my for your help Mary! You must be a native of the Cullen area! I kind of thought that might be the case since the FitzPatrick,s and the O’Sullivan’s lived Nextdoor to each other but I couldn’t find house #9 in Knocknageeha West. I am still interested in the Dennehy connection to the O’SULLIVAN.. I have Dennehy on both the Fitzpatrick and OSullivan sides..
John D Kelleher b. abt 1856 in Aubane married Mary Fitzpatrick in 1888. They lived in Aubane and had 6 children (Denis, Michael, Johanna, Mary, Catherine & John). I don’t have any records of them after 1911. Hannah Kelleher b. 1856 in Aubane married Michael Fitzpatrick (Mary’s brother) in 1888. They had 7 children( Hannah, Helen, Michael, Dennis, Mary, John & Catherine) 3 died young the rest moved to San Francisco. Hannah also went there after the death of Michael. Mary Kelleher b. abt 1858 in Aubane moved to San Francisco married William Galvin abt 1876. Had 5 children (William, Frank, Joseph, Michael & Margaret) in California. Denis Kelleher b. 1859 in Aubane – no other records. Timothy Kelleher (my great grand father) b. 1861 in Aubane, married Mary Manning from Lackabawn. They had 7 children (Hannah, Denis, Daniel, John, Helen, Peter and Michael). Hannah went to San Francisco with her 1st Cousin Hannah Fitzpatrick. Denis died young, Daniel,(my Grandfather) maried Hannah Ring in Millstreet in 1923 and had 5 children before moving to Cork City with his sister Helen (Nell). John went to New York, Michael ended up married in England, and Peter stayed in Millstreet. Catherine Kelleher b. 1865 in Bally Daly moved to San Francisco married Walter Walsh about 1900. They had 1 child Catherine (possibly adopted). I’m stuck at Denis Kelleher & Johanna Creedon. I’m almost certain I have their death records but I don’t have any information on their marriage or birth. I would love to find a connection with your Corneilus Kelleher. I wonder if they were brothers. I would appreciate any further information that you have. That is a lot of great information you have found. I have made a few Kelleher contacts on ancestry.com Tomorrow I will review that information to see if it may help. I will let you know. The “Creedon” name is very familiar so maybe that’s a good sign. Kelleher and John Kelleher who married Mary FitzPatrick..a brother and sister married a brother and sister..
Any of this in your tree..
and died 1820 he would be my ggggrandfather..
Cullen is in Millstreet Catholic Parish, though Boherbue is in Kilmeen Catholic Parish. Mary, I’m sorry, I don’t have any FitzPatricks in any of my Irish ancestor trees.